This sheet gives you the method of making a reversible "caterpillar" or flat bead crochet rope in two colors. It also covers adding in patterns on one side; dots, diamonds, and chevrons. It does NOT contain details of how to make the "flat" technique. 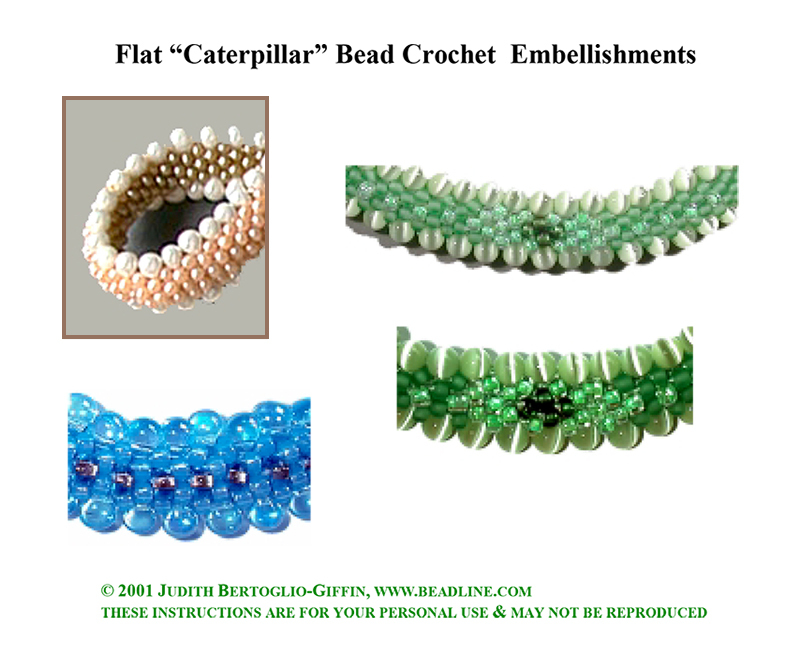 You will need "Bead Crochet FLAT Caterpillar Bracelets" for that. FREE Beaded Crochet Rope Instructions are available.